These funny friendship cards are just the thing to bring a smile to your bestie! This friendship card expresses how we all feel! Who wants to do housework, anyway??!! Not us! 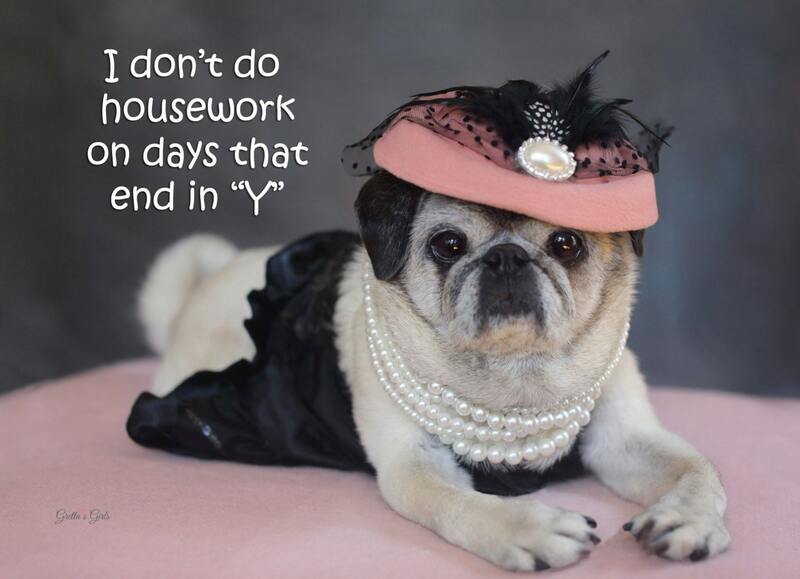 This item is one, "I Don't Do Housework," funny card for friends by Pugs and Kisses and Gretta's Girls. 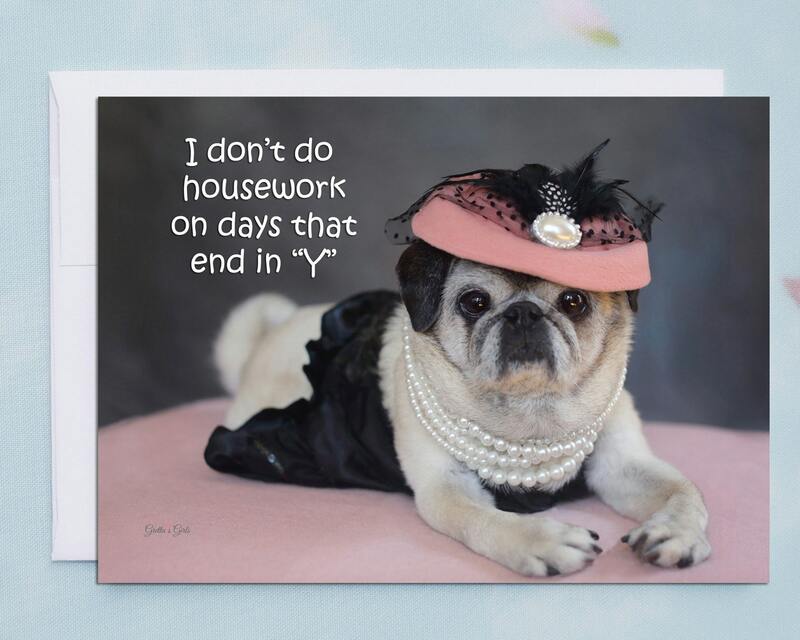 "I don't do housework on days that end in Y... "
This funny card will brighten your friends day for sure! !